Snoring procedures include both completely non-invasive and minimally invasive procedures. We are the only Specialized Snoring Center in North America to offer the Snorelase MD Program which we have modified to improve patient outcomes. Furthermore, we are the only center to have ENT supervision which is necessary to ensure patient safety, correct diagnosis and appropriate client selection. This therapy offers significant improvement in snoring in up to 85% of patients WITHOUT the use of needles or anesthetic. It utilizes a state of the art laser therapy to increase collagen formation within the tissues, which helps to remodel and stiffen the soft palate to reduce or eliminate snoring or obstructive sleep apnea. No anesthetic or subsequent analgesics are required. There is no cutting of tissue, so as a result there is no down time, little to no pain, and patients can resume activities immediately afterwards. Minor dry throat for 24-48 hours is the only common side effect. There is also a rare chance of developing a mucosal ulcer which will heal spontaneously after 1-2 weeks. While patients may notice some improvement within days after the initial procedure, maximal results occur over a period of 3-4 months. Three – five sessions are required 3 weeks apart for patients starting the program, requiring a recommended ‘top up’ procedure every 8-24 months. A specialized sleep assessment required to be a candidate for this procedure. Laser treatments for snoring or sleep apnea are not covered by MSP or Third-party insurers. This is offered currently Coquitlam location. For more information, please refer to our partner Cansleep Services FAQ page (in construction). Contact 1.844.SLEEP40 or email info@cansleep.ca for more information. This procedure is performed using local anesthesia, without sedation at our Burnaby and Coquitlam outpatient clinics. The procedure combines tissue removal in the soft palate and uvula with suture tightening to increase the size of the airway. Palate surgery (combined with a tonsillectomy for those with tonsils) is used to treat obstructive sleep apnea. It’s performed under general anesthesia in the operating room and involves a combination of tissue removal and repositioning that increases the size of the airway. 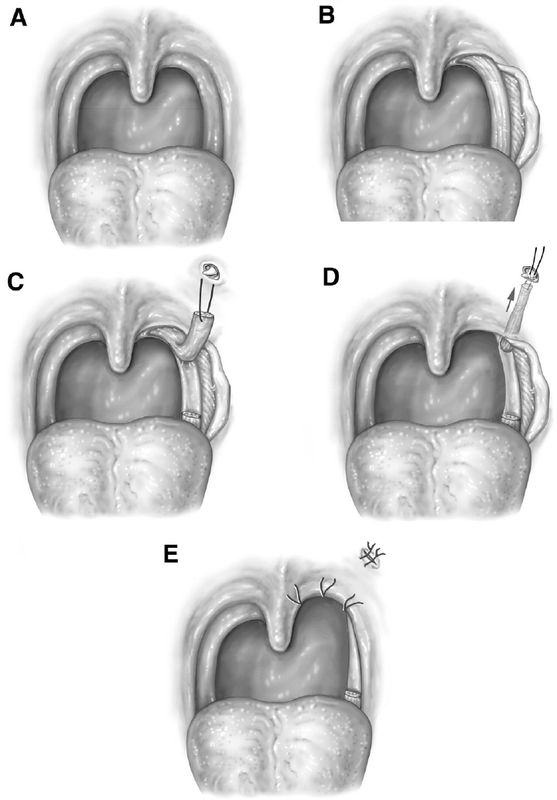 Modern surgical techniques such as Expansion Sphincter Pharyngoplasty are employed to improve the long term success rates. This procedure is typically combined with tongue base coblation and is currently covered by MSP for moderate to severe OSA patients documented on a level 1 overnight sleep study. Tongue coblation is typically performed under general anesthesia in the operating room in conjunction with a UPPP. The main arteries in the tongue are marked using ultrasound. A probe is inserted into the tongue in 7-10 different regions. The probe heats the tissue and creates a certain amount of damage that produces scar tissue. This shrinks the tongue and makes it less likely to fall backward to block breathing while you’re asleep. A minimum of 2 treatments are required, two months apart for improved results. Occasionally, large obstructive tonsils (palatine or lingual tonsils) are present in the absence of other palatal or tongue base obstruction. In this instance surgical removal of the tonsils alone may be curative of sleep apnea. This is performed under general anesthesia. Here at Indigo ENT, we work with a multidisciplinary team including respiratory therapists, sleep dentists, weight loss specialists, sleep therapeutic companies, respirologists and cardiologists. Diagnosis of sleep apnea is provided typically on site through home sleep evaluations, scored and interpreted by our accredited sleep physicians. Treatment typically involves a diet, weight loss and exercise program as an adjuvant to non-invasive therapies such as CPAP (continuous positive airway pressure), mandibular advancement devices and lastly, surgical intervention. Surgery is customized to every individual patient. Indigo ENT provides a range of surgical procedures to treat snoring and obstructive sleep apnea, tailoring treatments to fit your needs. We focus on finding the best results with the lowest risks. 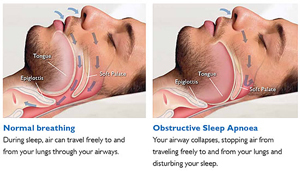 What is snoring and obstructive sleep apnea? Produced during sleep, snoring is the sound created by typical vibrations of structures in the throat. While snoring can have important effects, it can also be a sign of serious problems like obstructive sleep apnea. There are several types of sleep apnea, but the most common is obstructive sleep apnea. This type of apnea occurs when your throat muscles intermittently relax and block your airway during sleep. This results in a drop in oxygen levels. What causes sleep apnea? Who is specifically at risk? Some risk factors for sleep apnea include being male, gaining weight, race and ethnicity, and natural aging. While snoring often comes from the back of the roof of the mouth (soft palate and uvula), treatment for sleep apnea depends on the patient. It’s vital to identify the causes in order to develop a personalized treatment plan. How can I tell if I suffer from snoring or obstructive sleep apnea? A sleep study can help determine if loud snoring or other symptoms like sleepiness and fatigue are actually obstructive sleep apnea. Sleep studies are performed in a sleep laboratory or at home and can establish a diagnosis (snoring vs. sleep apnea) and determine treatment. At Indigo ENT, we provide free sleep studies in conjunction with our specialized sleep therapeutic partners, then obtain a diagnosis and coordinate to provide the best integrated, multidisciplinary sleep therapy in BC. Why treat snoring or sleep apnea? Associated with developing hypertension, stroke, heart attack, depression, diabetes, and erectile dysfunction. What are my treatment options for Snoring & Obstructive Sleep Apnea (OSA)? Here at the Indigo ENT Group, we strongly believe in treating OSA with non-invasive therapies prior to undergoing surgery. We employ surgery as a last resort and always in conjunction with non-invasive therapies as evidence shows this leads to better long-term outcomes. Treatment typically involves a diet, weight loss and exercise program. Medically supervised weight loss programs are available by request under the expert care of Dr. Lyon (https://www.medweight.ca/index.php). Other non-invasive therapies include CPAP (continuous positive airway pressure) therapy, which is considered to be the gold standard treatment of obstructive sleep apnea (http://www.cansleep.ca/sleep-apnea/treatment/), and mandibular advancement devices. One major contributor to snoring and obstructive sleep apnea is nasal obstruction. Various nasal treatments exist from non-surgical like medication and external nasal dilators (i.e. Breathe-right strips) to surgical procedures like rhinoplasty and nasal valve surgery, septoplasty, sinus surgery, and turbinate surgery. For more information go to Nasal Surgeries & Procedures.